Everyone alive on November 22, 1963 remembers when they heard the news that President Kennedy had been assassinated in Dallas. I was a young ‘tike’, just shy of my 5th birthday. My parents were backing the car out of our long driveway with me in the back seat sitting behind my dad when we were met by a neighbor from across the street. My father rolled down the window and I heard the words, “The president has been shot”! The assassination of President Kennedy has captured my attention and curiosity ever since. When the Warren Commission report was released, I borrowed a copy from the local library and read the entire book cover to cover. I was only 7! I’m sure that I was not alone. The assassination of President Kennedy has captivated the attention of our nation ever since, and will probably continue indefinitely. That horrible day in Dallas will was a day that will live in infamy. 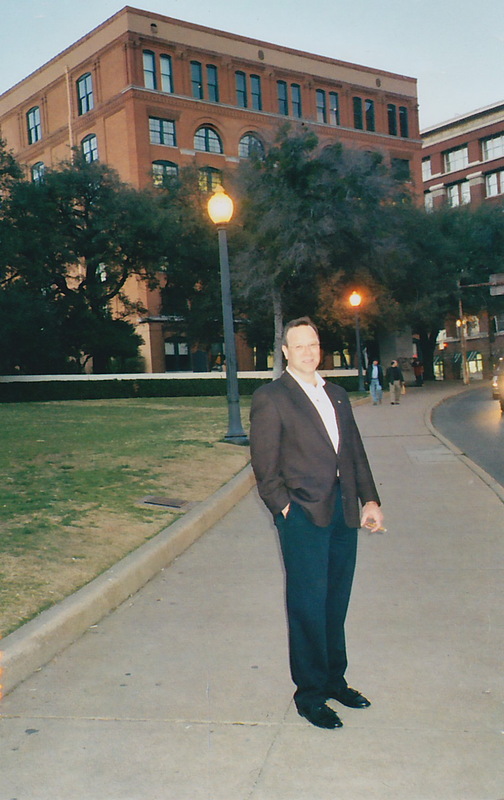 A few years back, I attended a sales kickoff meeting in Dallas for a client of mine. When I received my plane ticket I was excited to say the least, but the thing that excited me the most was that it would be my first trip to Dallas, and I might have chance to visit Dealey Plaza. The sales kickoff conference I attended just outside Dallas took up most of the day. The sun was setting, and I was starting to feel that I would miss my chance to visit Dealey Plaza. While chatting with people after the conference had ended, I struck up a conversation with one of the other people at the conference, and we began talking about the assassination of President Kennedy. I mentioned that I really wanted to see Dealey Plaza, but it looked like I was going to miss my opportunity because I was leaving for New York the following day, and it was getting dark outside. That’s when my new friend offered to take me right away. We hurried out of the hotel parking lot and onto the freeway that lead to the city of Dallas. As we drove, I couldn’t help but think of the similar ride that President Kennedy took that fateful day. Our car maneuvered it’s way around the downtown streets of the city of Dallas, and off in the distance I could see the old Texas School Book Depository. I was about to experience history firsthand. We parked the car, and I got out and walked around the front of the Book Depository building and looked up at the window where Lee Harvey Oswald fired the fatal shots at the President on November 22nd. I had an eerie feeling. Even more eerie was the fact that there was practically no one on the street, or anyone in Dealey Plaza. It was late evening, the street lights were starting to come on, and the only sounds I heard were those of the cars passing through Dealey Plaza as if nothing special was going on. To me, something special was going on indeed. This was a place of incredible history that will forever etched in the minds of Americans everywhere. Dealey Plaza remains practically unchanged since November 22nd, 1963. I walked further down the street to the grassy knoll to the right side of where the presidential motorcade passed by, and I examined every inch of that place. I went up to the wooden picket fence where conspiracy theorists claim there was a second gunman. I saw the parking lot behind the fence and then looked out to the street where the president’s limousine drove by. I looked at the line of fire, and saw that it was entirely possible that a second gunman could have shot the president from that vantage point, and could have simply drove away after the fact. Hmmmm. Could there have been a second gunman? We’ll never know for sure, but I doubt it. After wandering around Dealey Plaza for awhile I could sense that my new friend was anxious to leave, so I handed over my camera and asked to have my picture taken in front of the grassy knoll, and then again in front of the big X that marks the exact spot where President Kennedy suffered his fatal head wound that day. I waited until the passing cars drove by, and out in the street I went to the spot. Posing for my photo felt weird. No… it was creepy! I’m not sure when a sales call will take me back to Dallas, but I can assure you that I will NOT leave Dallas until I visit Dealey Plaza, and have another chance to take it all in. Many years ago I started my sales career in the beer business. I worked for the Christian Schmidt Brewing Company out of Philadelphia, and our flagship product was Schmidt’s Beer. It was a great job, and I recall joking about how I probably drank more beer than I ever sold. I sold beer to restaurants, delicatessens, bodegas, and the dozens of bars located in Astoria, Queens NY. One of my customers was Glenn Walken, the brother of actor, Christopher Walken. Christopher Walken won an Oscar for best supporting actor in the film, The Deer Hunter. The company I worked for back in the early 1980’s was a wholesale beer distributorship, owned by the Schmidt’s Brewery. Not only did we sell Schmidt’s beer, but we sold dozens of other brands of beer like Schaefer, Rheingold, Piels, Pabst Blue Ribbon, and Ballentine Ale. Unfortunately for me, we did not sell Budweiser, Miller, or Heineken. The company I worked for sold ‘off-brand’, or small market beers. In other words I sold cheap beer. If you can go back to the early 1980’s when the sale of bottled water was in its infancy, Perrier was the ‘Heineken’ of bottled mineral water. Unfortunately for me, my company didn’t sell Perrier. Instead, we became a distributor for a competitor to Perrier called Ramlosa. Ramlosa was a mineral water imported from Sweden, and they hired tennis star Bjorn Borg to be their company spokesperson to promote the product in advertisements. Every Wednesday we held our district sales meeting, and 35 or so beer salespeople like myself would come to the main office for the weekly sales meeting to meet with our managers, and learn about new products. This particular Wednesday I came to the office and there was Ramlosa mineral water everywhere. No Bjorn Borg, but plenty of Ramlosa water to drink. As our meeting was called to order, the vice present of sales stood at the front of the large room and shouted at the top of his lungs, “If you don’t ask – you don’t get, so start asking customers to buy Ramlosa”! Selling beer required me to park my car and walk the avenues and streets of Astoria to take beer orders from customers, and call on other places that did not buy their beer from me. I was always keeping an eye out for new businesses because they were an easier sell if I could get to the decision-maker before my competition did. One particular day I happened to walk down the street and saw the ‘Grand Opening’ sign for the Walken’s Cafe. A big sign saying ‘Grand Opening’ is a very good prospect for me so I went inside. As I stepped inside I saw a man standing in the rear of the cafe with his back to me. The cafe was closed, and there were no customers today. Just this guy with his back to me. I must have walked in quietly because he didn’t even notice that I had walked in. I waited a few minutes, and then politely cleared my throat with a polite – “ahem”. Then the person turned around and looked at me with a crazy looking stare that went right through me. At first glance I thought he looked familiar, but I didn’t say anything. I just stuck out my hand and introduced myself, and explained why I stopped in. About a minute or so into my sales pitch about beer, the man stopped me in mid-sentence and said, “Don’t you know who I am”? I told him that I didn’t, but did say that he looked familiar. Then he continued with, “Have you ever seen a movie called The Deer Hunter”? That’s when it hit me. I said, “Hey – You’re Christopher Walken”! “What are you doing here”? 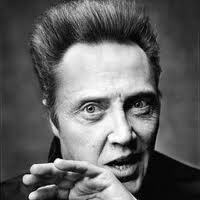 Christopher Walken told me that he came to visit his brother Glenn, and it was he that owned the cafe. I found out later that the entire Walken family is originally from Astoria, and Christopher Walken likes to visit the old neighborhood every now and then. Search Google: “Walken’s Bakery Astoria”. Mr. Walken and I finished with some small talk, and then we started talking about beer. That’s when someone came in through the rear door of the Cafe. As he got closer I thought I was seeing double! There I was looking at two identical Christopher Walkens! No I didn’t have double vision, the newcomer was Christopher Walken’s brother Glenn. They looked like twins! Christopher then turned to Glenn and told him that I had stopped by to sell them beer. “That’s all well and good”, said Glenn, “but we don’t have our liquor license yet”. Remembering what I heard in the sales meeting yesterday about “asking for the order”, I quickly explained that they didn’t need a liquor license to serve mineral water, and with that I pulled out the sample bottle of Ramlosa I had in my overcoat pocket, and put it on the table. After a bit more back and forth I walked out of Walken’s Cafe that day with a 100 case order of Ramlosa. You are currently browsing the The Gold Call Blog blog archives for November, 2013.